Empower your quants so they can focus on your business. Every financial institution wants a fast and effective process to deploy models that can accurately measure and control risk, proactively detect and prevent fraud and effectively evaluate capital reserve adequacy. Failure to adopt an effective process for risk modeling is not just costly, it can also be catastrophic to a firm’s financial condition and can lead to serious penalties. Increasingly, time is the enemy. Whereas it used to be acceptable to update risk models on an annual basis, regulatory regimes are now pushing banks towards monthly updates, and business owners need models to be continuously updated to reflect current conditions. 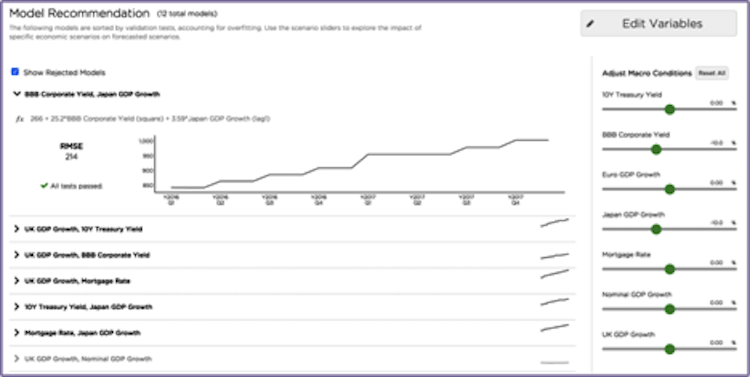 But with current processes, most banks measure the time to develop, validate and roll out models in months or quarters. Banks need a new approach that will compress the time to build a model from thousands of hours down to tens of minutes while ensuring total transparency and simple outputs that regulators can understand. Ayasdi Model Accelerator is targeted at just this challenge and is distilling complexity for some of the world’s largest institutions. 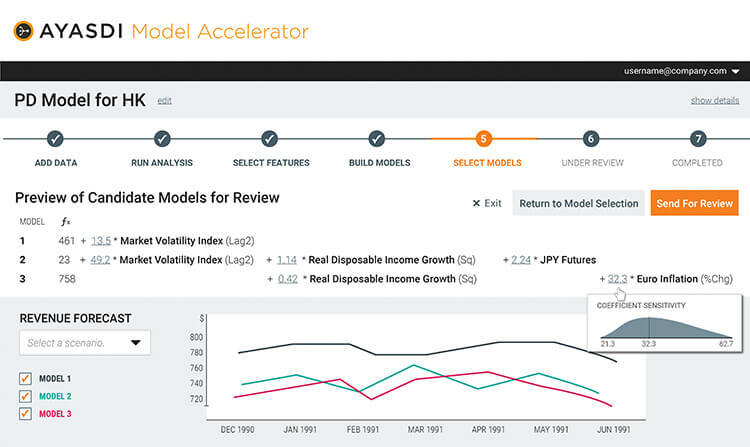 At the heart of Ayasdi’s Model Accelerator is a powerful approach to regulatory risk modeling that encompasses both unsupervised learning capabilities as well as supervised learning capabilities. 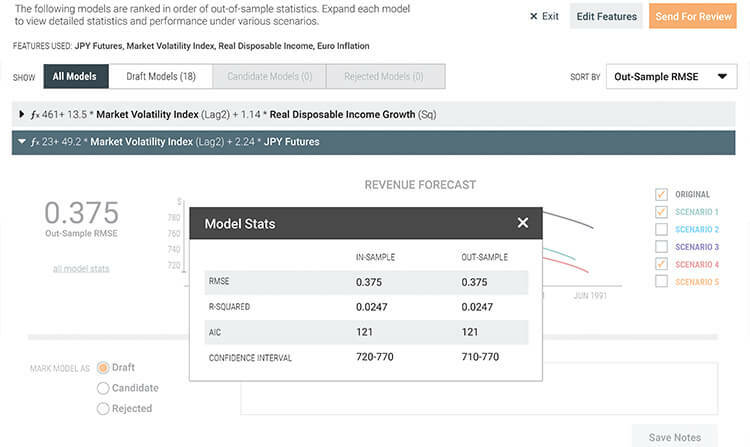 By leveraging the learners, AMA is able to identify groups of variables and explain why they were selected – accelerating the creation of complex but explainable risk models. Prediction is considered a staple of risk modeling solutions but often suffers from human bias in the form of algorithmic bias, data bias and other biases that undermine accuracy. By combining unsupervised techniques with supervised approaches the predictive power of the risk modeling software can be dramatically enhanced. Model transparency ensures success with both internal model governance boards and external regulators. 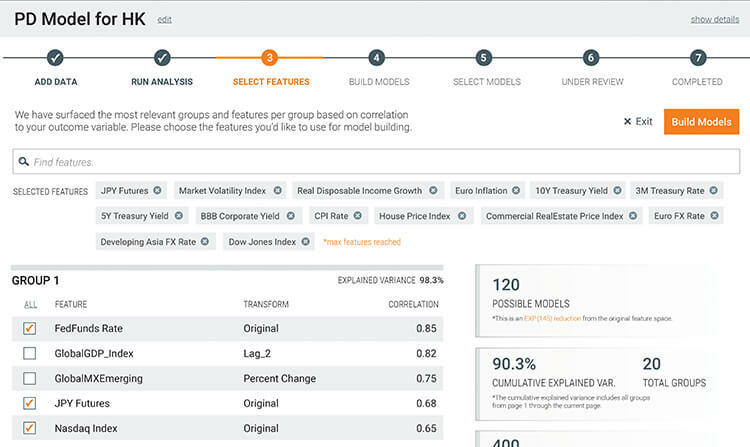 During the creation of risk models in Ayasdi, everything is documented automatically. Ayasdi institutionalizes both variable selection and modeling methodology, systematically and deterministically, to produce a repeatable risk modeling process with consistent supporting reports on model lineage, variable selection and cross validation. 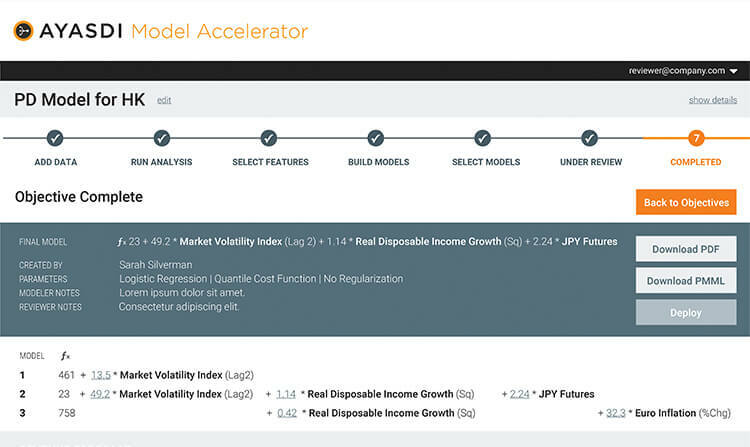 Ayasdi’s risk modeling software can be used both as a model generation engine and as a model execution engine – accelerating the model development process. With AMA’s workflow and collaboration features, risk models can go from development directly into production. This stands in stark contrast to the hand-coded and expensive model development process required by traditional approaches. The regulatory risk modeling landscape is constantly changing, driven by new regulations and a changing business landscape. Intelligent applications must adapt to new data, identify new patterns and create an audit trail as the model updates itself to react to these changes. This Use Case was Worth $9B to a Major US Bank. Interested?